I just got this great adult coloring book from My Masterpiece. I love coloring for stress relief and mandalas are found to be one of the best stress relieving patterns. I got this great book full of mandalas. It has a ton of intricate and fun designs. Hours of stress relieving coloring fun. The pages are printed on one side so you can use markers if you want (I would put cardboard between though just in case it bleeds. Nice printed pages. The paper is pretty thin but like I said just put some cardboard between the pages, I didn’t have any problems. Love the designs and was super happy with the book! 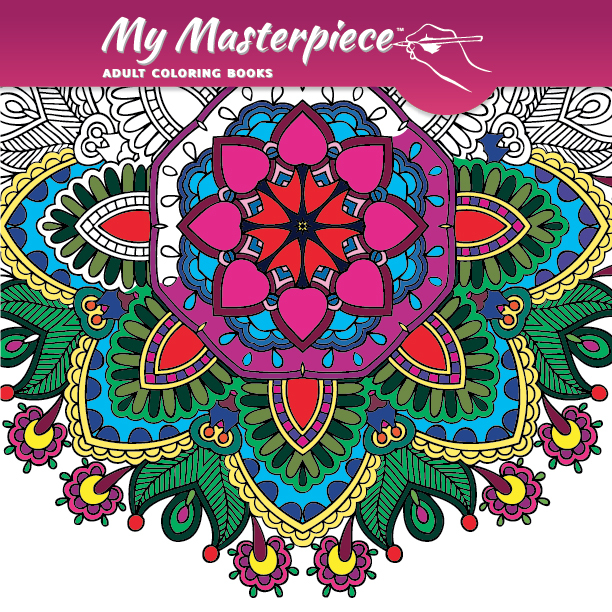 My Masterpiece™ brings you 50 delightful illustrations to whisk you away from the world of busyness and stress and take you to that restful place where you can relax, unwind and have some fun.